Various studies indicate that the incidence of most cancers are caused by an unhealthy lifestyle habits such as unbalanced eating, smoking and drinking alcohol. The most effective way to prevent cancer is to abandon the attack unhealthy habits and replace them with healthier habits. Smoking can cause lung cancer. In the U.S., lung cancer is the most deadly disease of cancer among other diseases. Lung cancer causes the loss of 3000 lives per day in the world, and 90% of this amount is attributable to smoking. Besides being good for heart health, being overweight or obese can also lead to diseases such as cancer, breast cancer, pancreatic cancer and kidney cancer. If you are overweight, try our best to minimize it with a healthy diet and regular exercise. Any kind of physical activity that makes your body active can reduce the risk of cancer. Regular exercise is one way to effectively prevent some cancers. By exercising regularly, you can reduce cancer risk of 30-50%. Boost Your Immune To Avoid Cancer Attack Of Here! There are so many benefits that you can get to keep your diet healthy, in addition to weight loss, a healthy diet is also useful for lowering the risk of cancer, for example, is a fruit such as tomatoes, watermelon and other fruits that contain lycopene, an effective way to reduce risk of prostate cancer. 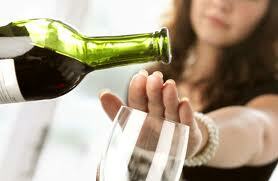 If you want to be free of cancer, stop drinking alcohol immediately. Alhokol contained on alcohol can increase the risk of cancers such as cancer of the mouth, throat, and esophagus. The risk will increase 2 times greater if you combine alcohol consumption with smoking. Stress does not have a direct association with cancer risk. But, when you are stressed, there is a tendency for unhealthy habits such as smoking, drinking, overeating, and so on. Habit that may increase the risk of cancer. You can check the condition you to a specialist to find out if you are at risk of developing cancer. Medical examinations are usually performed using methods such as pap smear or a colonoscopy. This method can detect pre-cancerous changes that if left untreated, can develop into cervical cancer or colon cancer. By knowing the medical history of the family, you can find out if you are at risk of cancer or not. Experts say that, knowing family medical history, you will be easier to detect and address the risk of cancer early, so you can avoid the attack of deadly cancer. Reduce your risk of cancer by adopting a healthy lifestyle, and started avoiding unhealthy habits. Consult with your doctor to know your health progress regularly, and for early detection if you are experiencing symptoms associated with cancer. Your blog is very useful. Thank you so much for providing plenty of useful content. It is really very interesting. . .